EcoStar. Say yes to no waste. No waste. It’s an ambitious goal, but we are committed to it. Our Placon PET plastic packaging made from EcoStar materials are produced from recycled post-consumer content and are 100% recyclable. Placon reclaims post consumer thermoforms destined for landfills processing them into flake, and extruding them into recycled PET roll stock. This preserves our natural resources while reducing our total carbon footprint. 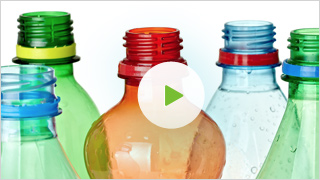 Over 1 billion discarded consumer PET soda bottles, water bottles and thermoformed containers carrying the #1 symbol are processed through the EcoStar facility each year. These containers are ground, washed then extruded into our EcoStar brand of PET sheet which is thermoformed back into consumer packaging, helping conserve valuable natural resources. Copyright © 2019 Dane Packaging International All rights reserved.